I bought a stompa at the bitbox a year or two ago, and it was a great deal. No, i don't have an ork army, but i thought of this as an impressive piece of terrain. 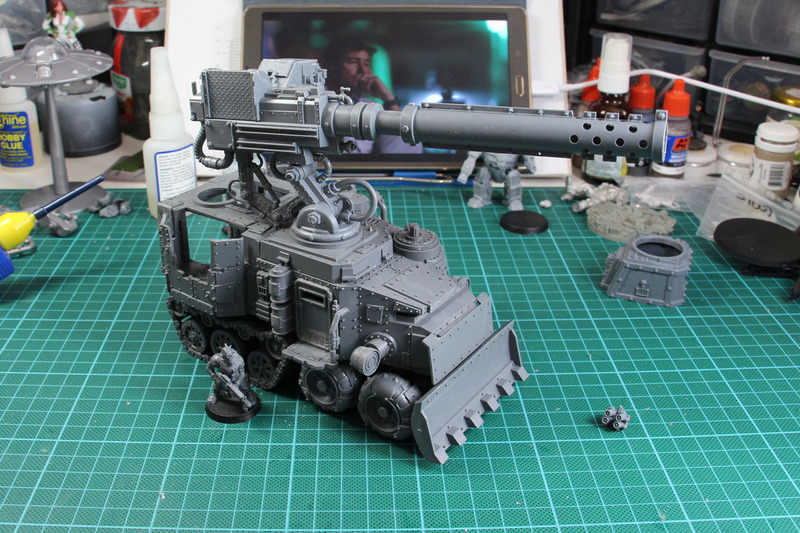 A overhauled / half-build monstrosity, that would make a great objective for a scenario. 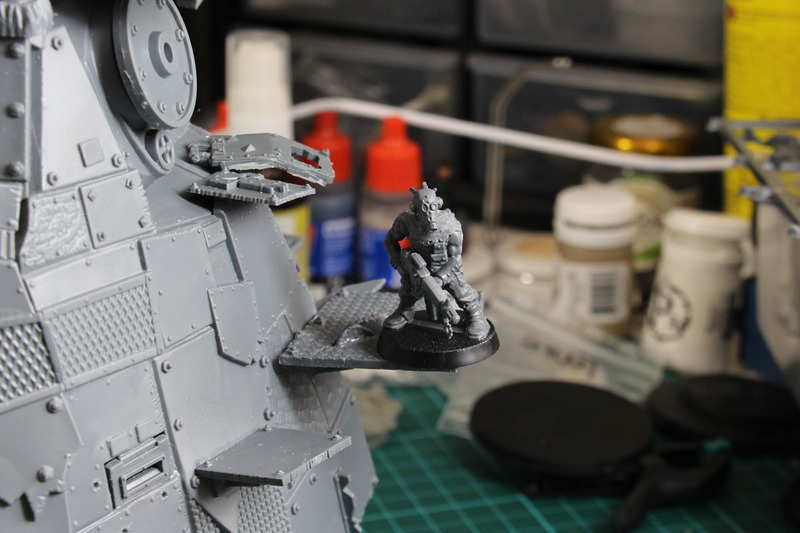 It could be some kind of mobile mining robot for Necromunda, it could be the stompa it is for Inquisitor 28, and so much more. 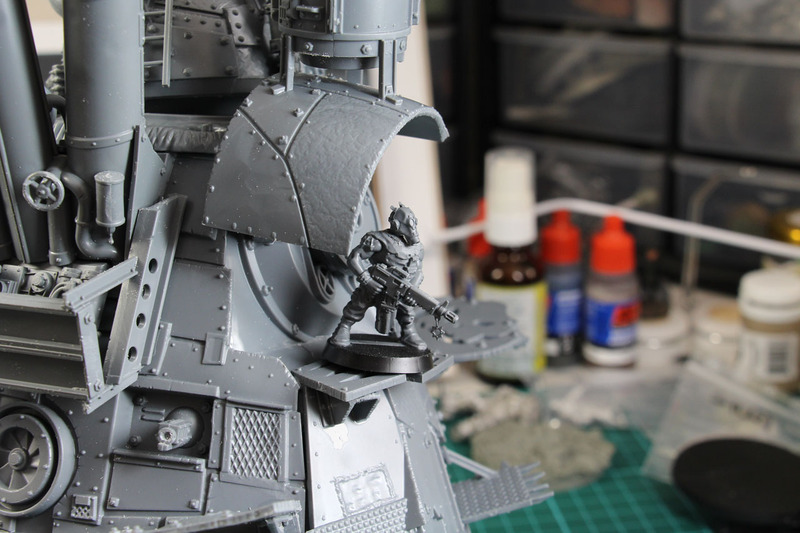 As the model itself wasn't going to be used, as a unit, i build it more stationary. I left the weapon arms beside, and closed the mounts with spare parts from the ammo belt. Small platforms and sheets of metal were added, so they could be used to climb the metal giant. 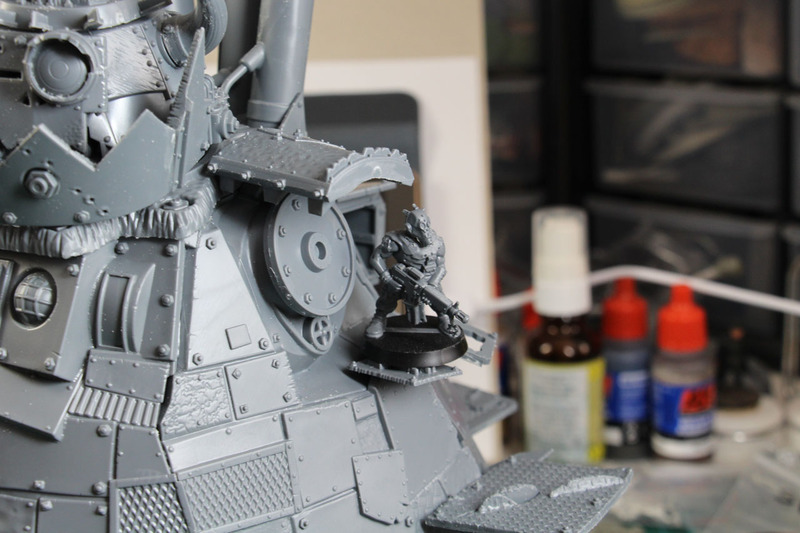 Or from the gamers point of view, you have room to place your miniatures upon the scrap beast. About the weaponry? 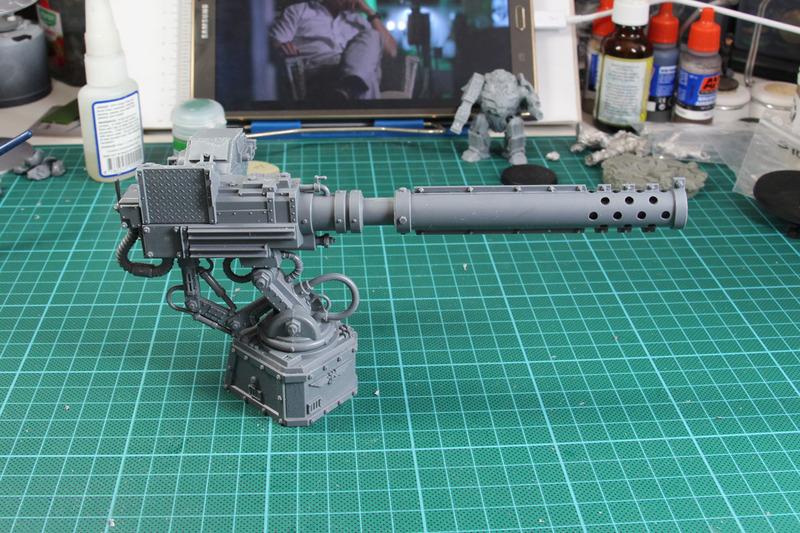 I decided to sell the close combat arm (if you are interested, just get in touch with me, it is still in the sprue) and build the gun arm as some kind of giant defense cannon. 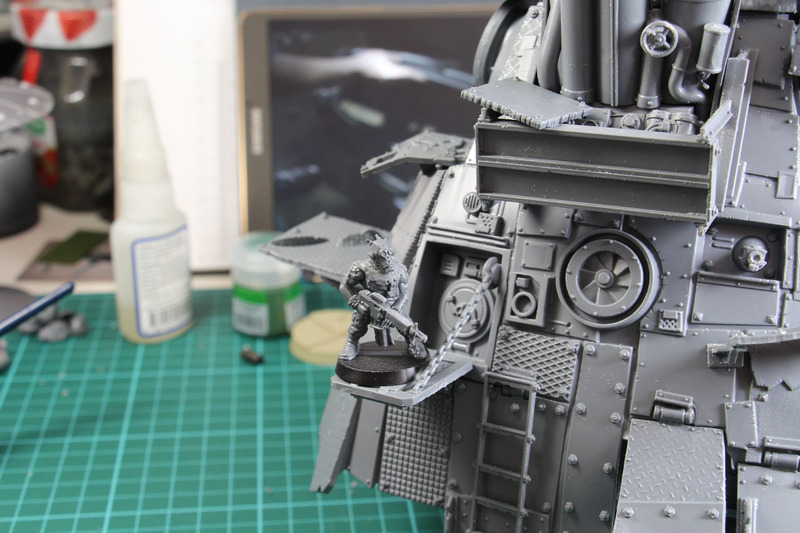 The arm fits perfect into the small defensive line mounts. 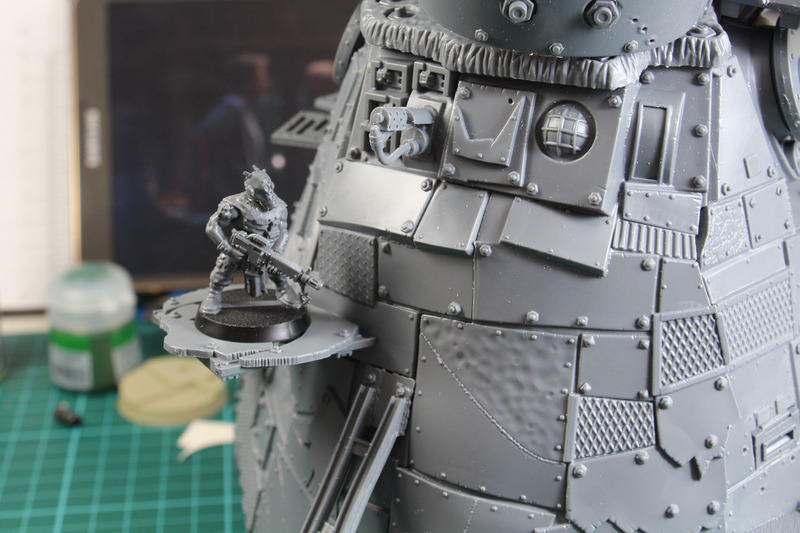 This makes a great piece of terrain as well, you could give the player who controlls it a large blast template to mess with his/hers opponents. 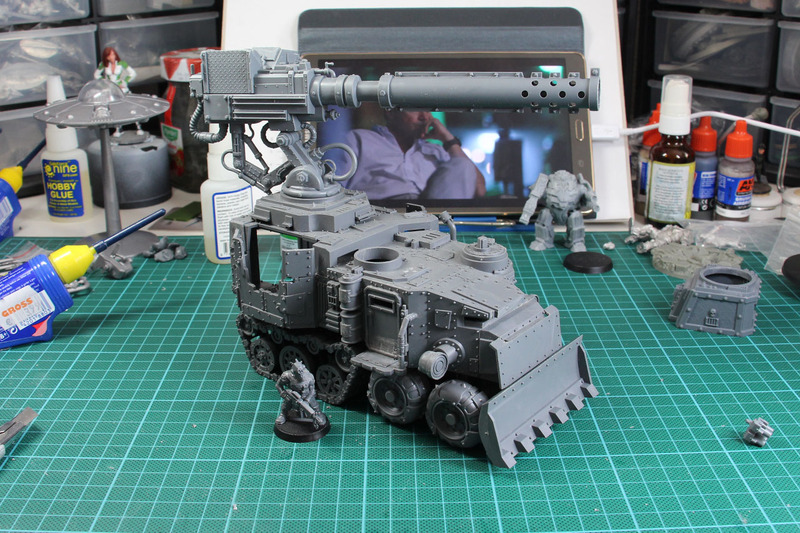 And you could do it even more mobile and put it upon some armoured vehicle, like my underhive combat vehicle. So many possibilities, yay. Great kit this Stompa, could be a better fit here and there, but overall quite amazing. Don't know about the regular price, most likely would scratch build it, but never the less, impressive kit.